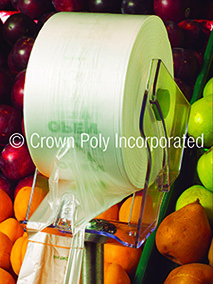 Pull-n-Pak plastic bags are freely available in supermarkets at produce and meat sections. When I buy a package of 12 drumsticks or a jar of chicken livers, I plan weeks to eat them. So I use the Pull-n-Pak bags to separate them, either raw or cooked, into portions per meal. Since the bags are plastic, are they appropriate for storing raw or cooked meat in the freezer? Is it better to use glass food containers such as Pyrex, rather than Pull-N-Pak plastic bags? Are they appropriate for storing raw vegetables in fridge? I'm not sure if you mean each portion is in a separate bag and then you're placing the entire contents of what you bagged into a heavier plastic bag designed for freezing. If that's what you mean, it's fine but I'd pick up extra unused plastic pull n pak bags so you wouldn't need to worry about cross contamination with used bags. It's what I often do when separating raw meat. 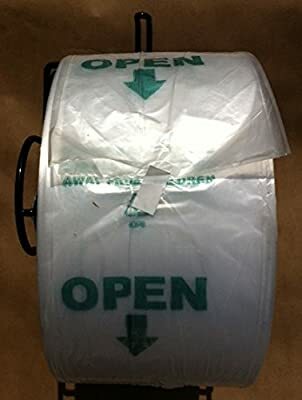 It makes it more sanitary for me as I turn the bag inside out, then put it over my hand like a mitten. I grab the meat with my hand in the bag and turn it so the meat's contained in the bag without me having to handle it. On the other hand, if you're storing the meat in those bags only, I don't suggest it. Other than cross contamination like Alan mentioned, those plastic bags were never meant as a thick enough barrier between food and freezer air and contents. It's easy to get a tiny tear or puncture in the bag and get freezer burn on the meat or the odor of the raw meat to mix with freezer air. You might not notice it at first but over time, your freezer could get a funky smell affecting other food in it. My aged mother was always freezing meat in these bags and never noticed how off her freezer smelled. She didn't understand why parts of the thawed out meat looked dry, had freezer burn or developed ice crystals in it. I don't say yours would get that bad but don't rely on those bags only. Nothing wrong with using them to store vegetables in your fridge though. I prefer to wash and dry most of my vegetables when I bring them home. I wrap a paper towel or two loosely around them and put them in the fridge then. When i buy a package of 12 drumsticks or a jar of chicken livers, I plan weeks to eat them. Don't use Pull-N-Pak bags for freezing of meat. In a pinch, you could freeze something for a week. Any longer than a week and you should use purpose made freezer storage bags from the supermarket. Pyrex is better than pull-n-pak, but not as good a freezer bags. Why not as good? With any hard container, you can have an airspace which will facilitate freezer burn. A well packed freezer storage bag would have minimal airspace, minimal freezer burn. Are pull-n-pak bags appropriate for storing raw vegetables in fridge? Yes, for short term storage (under 1 week in my book). Overall: the problem with pull-n-pak bags is that they are highly permeable for gas, vapors and moisture as compared to freezer bags. 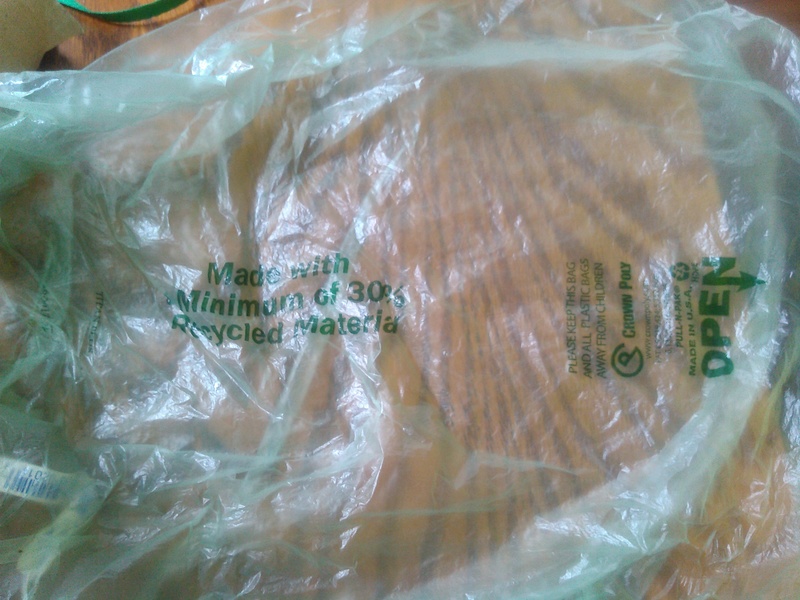 Also, the thinness of a pull-n-pak bag makes it susceptible to tearing in the freezer. Freezer burn can occur. Flavors and odors could also transfer among frozen items. 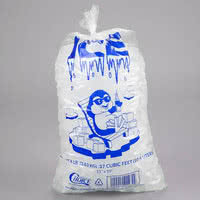 Alternative: Bags made for packaging ice. They'll be almost as good as freezer storage bags, but less expensive. Ice bags are also available on Amazon. it depends on how sensitive you are to cross contamination in your freezer. In theory there is nothing wrong with using plastic bags to freeze stuff, as all bacteria is frozen within a few hours of entering the freezer. However, plastic( In bags, jars, whatever ) is never actually 100% air/water tight, meaning that bacteria can actually makes its way out of the sealed bag/jar. Also always store raw and cooked meat on different shelves( With cooked above Raw ), or even better in separate freezers. Again this all depends on your tolerance to bacteria. However if you are in a professional kitchen where your are bound to legal standards I don't think plastic bags will be sufficient. With regards to storing veggies I see no problems. Hope this is of some help! !